Utilizing all the tricks inherent in the medium, Lottie Pencheon’s Summer Break is an intimate exploration of the dissociation and detachment that so often occurs with clinical depression. 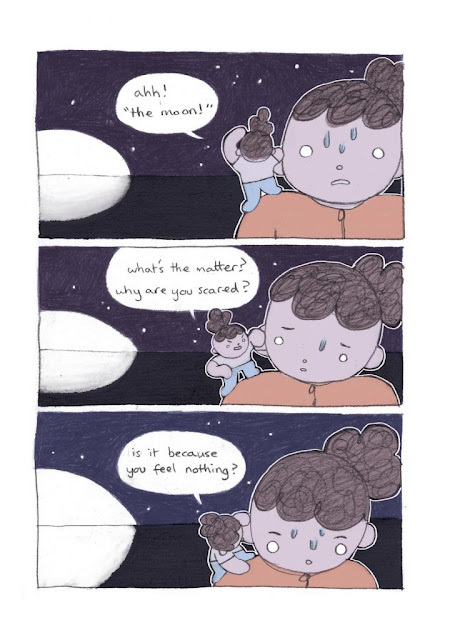 Pencheon uses soft pastel colored pencils on top of her evocative and mutable drawing style to convey and emphasize the disconnect from the world her narrator feels as moments seem to uncouple from accepted reality and voices in her head pummel her with doubt and self-loathing. In the journey to understand cause and deal with effect, Pencheon ends with the statement “and I needed help making my way back home” emphasizing the healing value of community and connectedness that depression does everything it can to rob us of. 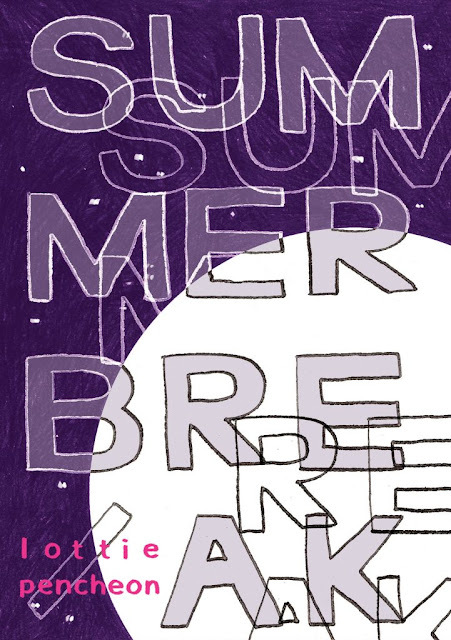 Summer Break is a subtly beautiful and powerful work of art that resonates and comforts anyone who has had to confront mental health challenges such as this. The term Artificial Intelligence is an oxymoron. Intelligence, once achieved, is genuine. The capacity to think is an established reality, no matter how it is processed. But Intelligence is a long way from Consciousness, and as technocrats race to build conscious machines, they rarely consider the implications of such an act. 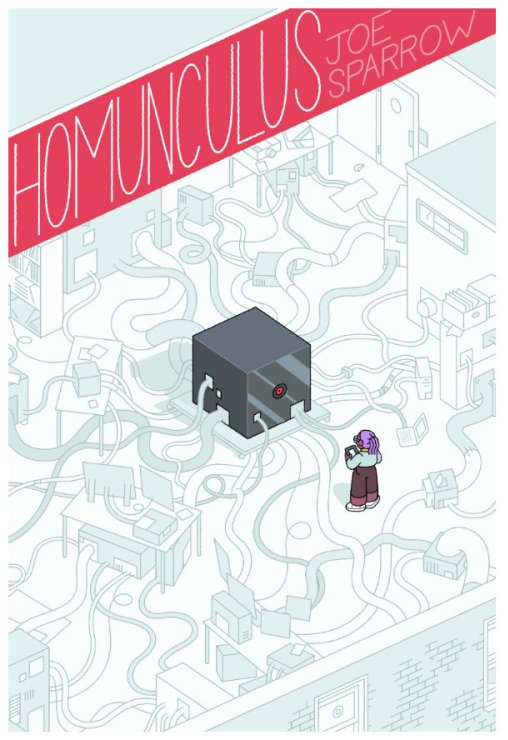 Joe Sparrow’s Homunculus is about those implications. Told from a single point of view, that of a manufactured consciousness named Daisy, Homunculus measures the growth of understanding as a static sensibility watches the inevitable results of the chaos inherent in all human society. There’s some obvious darkness in this exploration, but, in the end, there’s an affection expressed that transcends entropy and speaks to possibility. 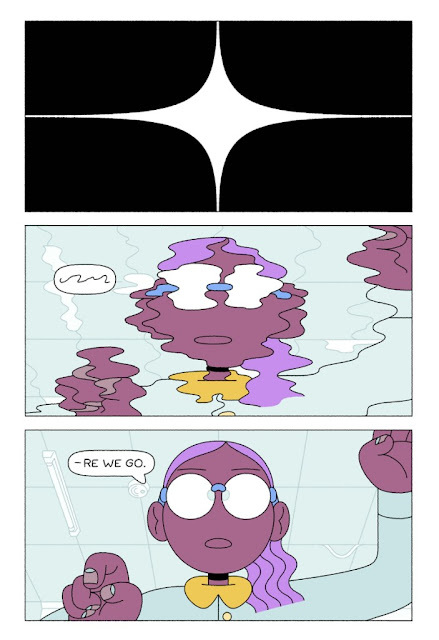 Sparrow’s cartooning helps soften the blow and, in its deceptive simplicity, tackles complex issues of morality. 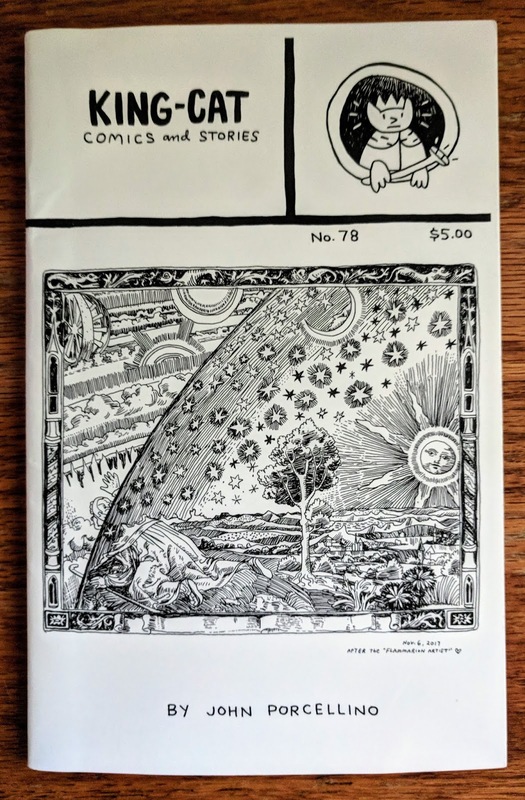 It’s hard to say anything about John Porcellino’s King-Cat series that hasn’t already been said. 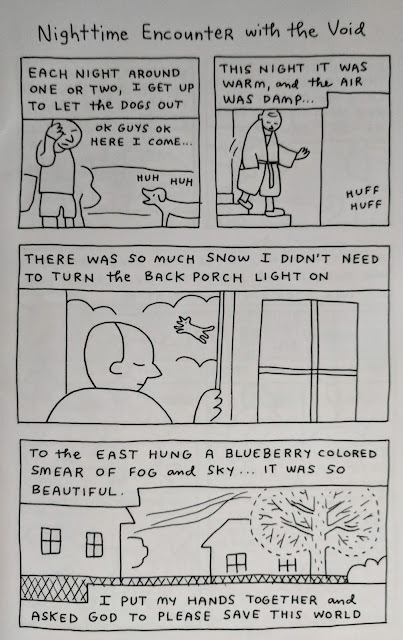 By reducing cartooning to its bare essentials, Porcellino succinctly captures the philosophy of being in the moment, seeing the beauty in the mundane, and celebrating the cycles of nature while exuding a quiet peace and a gentle humor that, while occasionally interrupted by the noise of the world, is at the center of a life well lived. King-Cat #78 continues Porcellino’s focus on his family, his animals, his community, and the various books, music, and film that have brought him recent joy. Reading King-Cat is a meditative act, a celebratory revelation, and a discovery of an artifact of an artist living life with purpose.